Peter H: Photo: Railway Station Drinks Kiosks in Japan Amazing range of choices! Photo: Railway Station Drinks Kiosks in Japan Amazing range of choices! This photo shows some energy drinks available at railway station drink kiosks. This photo was taken at a railway station platform kiosk in Tokyo. 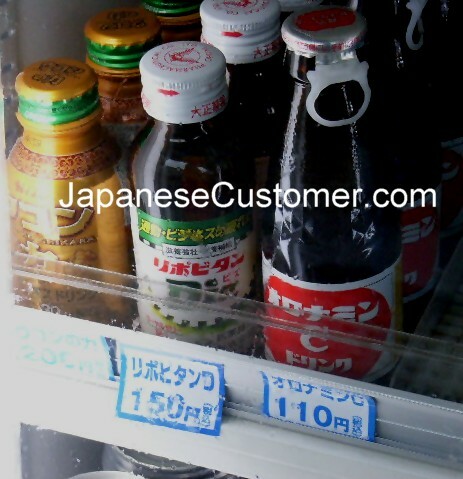 In Japan you have a wide range of drinks available at stores. Energy drinks, fruit juices, coffee (hot and cold), beer, wine, green tea, milk drinks, soft drinks, yoghurt drinks, etc the choice is amazing! For example: It has been reported that at some convenience stores over 315 different drinks are available and some 7 or 8 new drinks are tested and added each week by companies trying to gain new customers. When you visit Japan the first thing you will notice is the wide selection and choices available. Please drink responsibily and be sure to follow all rules and regulations regarding alcohol in Japan.